On the Sky news Blog this morning is a post by Niall Paterson concerning the on going debacle of the Home Secretary’s bedsit sleeping arrangements. the idea that Ms Smith is renting a tiny box room in her sister’s house (“it’s the family home”, one official tells me) is raising a few smiles in the Home Office. 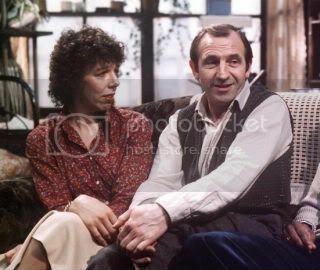 So much so, some have taken to referring to her as Ms Jones – a reference to Miss Jones, one of the tenants in Rigsby’s ramshackle boarding house in TV comedy Rising Damp. Rising damp is where ground moisture rises, ruining the fabric of the building. Which sounds like a pretty decent metaphor for the way MPs’ use of expenses has undermined Parliament of late. 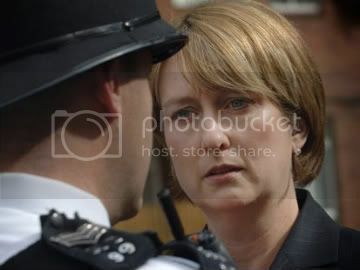 So the most useless Home Secretary in decades, Jacqui Smith, has finally got to answer some questions. She is accused of ripping off the taxpayer to the tune of £116,000 by fiddling her housing expenses. But she is already costing the taxpayer upwards of £200,000 a year in police protection by choosing to live at her sister’s house rather than using one of the vacant “grace and favour” ministerial homes in Whitehall which already have police protection. But then she would not be allowed to claim the second home expenses would she? Surely the easiest way to find out where she spends most of her time is to see the police logs, records, time-sheets and all the other mountains of unnecessary paper-work she now forces her police protection squad fill out. 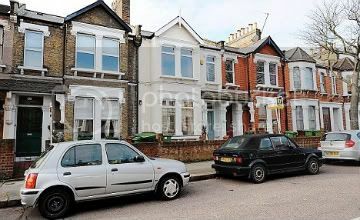 What does it say about modern Britain when we have the Home Secretary effectively squatting in a scruffy South London terrace house, complete with overflowing wheelie bins in the front garden? She’s even got a police protection squad on the doorstep. So we end up with the unedifying spectacle of our Home Secretary living like a supergrass in a witness protection safe house, just so she can bump up her expenses. Will be interesting if Jacqui still supports Neighbourhood Watch after this latest twist.